A few weeks ago, I was sitting in a tour bus as we schlepped up the M6 for the umpteenth time when, somehow, the conversation turned to the Dubreq Stylophone. The rest of the band were hugely dismissive of this, but during a lull in the conversation I suggested that they play David Bowie’s ‘Space Oddity’ on the bus’s sound system and listen to the ‘synthesizer’ parts that decorate much of it. The sight of jaws dropping was one to behold, so I asked one of them to stream some other tracks that featured the Stylophone and, at some point during the next few miles, it evolved from a bit of a joke into a musical instrument. The original was released in 1968 and, while there were several variants, the standard model was by far the most popular, and it’s claimed that around three million were sold before it was discontinued seven years later. 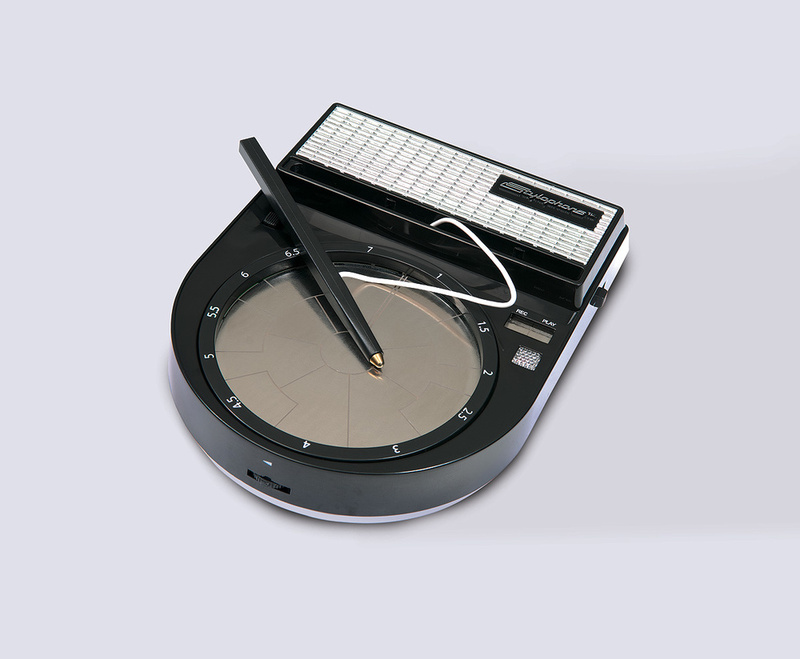 In 2007, it was relaunched as the Stylophone S1, offering two additional sounds as well as a signal input that allowed you to play along with your favourite tracks. Five years later this was joined by the Stylophone S2, which was a surprisingly fully featured monosynth with dual oscillators offering PWM, hard sync and three modes of ring modulation, sub‑oscillators one and two octaves down, an LFO that could be directed to one or both oscillators and the VCA, dual resonant filters and an AR contour generator. It even sported CV and Gate inputs plus an external signal input that allowed you to use it as a signal processor. In short, it was a real synthesizer and it deserved greater recognition than it received. 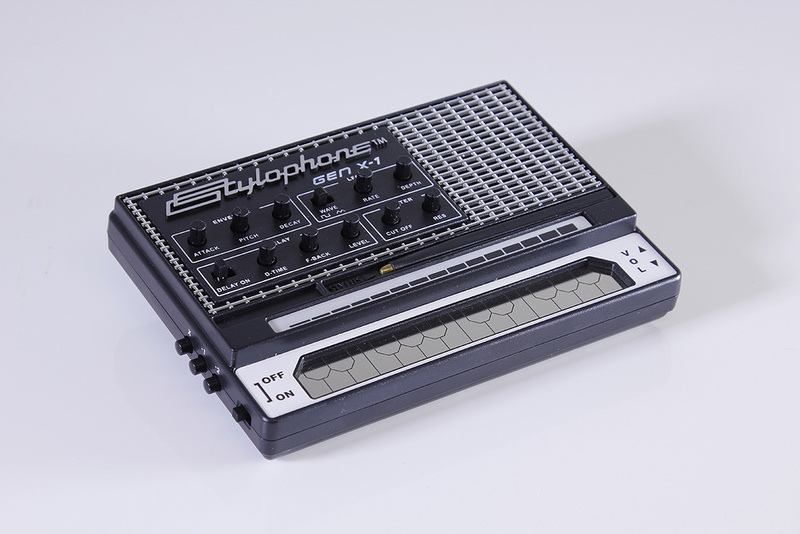 The newest incarnation was announced in 2017 and, rather than representing a further advance on the S2, this is designed as an original Stylophone on steroids. It boasts a single oscillator that offers a distorted pulse wave as the initial waveform, plus on/off switches for sub‑oscillators one and two octaves below the standard pitch, all of which can be activated simultaneously. There’s also a switch that claims to apply pulse‑width modulation to the standard pitch, but this didn’t sound quite like PWM to me so I hooked the GEN X‑1 up to an oscilloscope. Sure enough, switching PWM on doesn’t modulate the width of the initial pulse wave. Instead, it adds a second signal to the first and sweeps its frequency up and down at the rate determined by the LFO (which we’ll address in a moment). In other words, it adds a gentle chorus. The effect — both mathematically and sonically — is much the same, but it’s not PWM. Tuning is accomplished using the traditional knob on the underside of the unit, but I think that it would have been good to relocate this to somewhere more accessible now that the Stylophone is more of a synthesizer than a toy instrument. 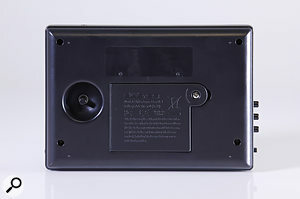 Scaling across its keyboard is accomplished using a recessed trimmer reached through a small hole in the rear of the case. It’s just as well that this is accessible because, when I received the review unit, its pitch spanned just 22 semitones across the 24‑semitone keyboard. Happily, correcting this took just moments. The output from the oscillator passes to a low‑pass filter that will oscillate at maximum resonance. This tracks the keyboard to a degree (not 100 percent, unfortunately) and can be swept using a contour generator that applies an AD contour to the cutoff frequency unless the Attack is non‑zero and the Decay is zero, in which case, after the Attack phase, the maximum level is sustained until you release the note. The same contour can also be directed to the oscillator pitch, and a knob then determines the amount by which it’s applied. In addition, there’s a square/triangle wave LFO that’s hard‑wired to both the PWM/chorus and the oscillator pitch; the Rate knob controls the frequency, while the Depth knob determines the amount of vibrato. (The depth of the chorus effect is fixed.) The final set of controls is for a delay line, with knobs for the delay time, the feedback amount and the overall level of the effect. The maximum delay time is a good fraction of a second, and the maximum gain of the feedback loop is greater than unity, so you can create the usual sci‑fi effects using this. At the right of the unit is the volume control and 3.5mm socket for audio output and audio input.To the right of the unit you’ll find a volume control sitting next to a headphone socket that allows you to direct the Stylophone’s output to other equipment. There’s also an external audio input that, like the S2, allows you to use it as a signal processor. I suspect that, for some people, the GEN X‑1 could justify its price as an unusual lo‑fi filter/delay unit, although it doesn’t have the CV and Gate inputs of its larger sibling, so synchronised effects are beyond it. Unlike the original Stylophone, which was powered by a single PP3 battery, the GEN X‑1 is powered by four AA batteries. The difference isn’t as inconsequential as it sounds because the choice of the PP3 made it simple to use mains power — you just used a 9VDC converter with a PP3 header. If you nibbled a small hole in the case, you could even make the connection inside the instrument, whereupon the mated connectors or a knot in the cable provided stress relief so that you could use it on stage as well as in more clement environments. Regrettably, there’s no such simple solution for the GEN X‑1, and you would have to perform more radical surgery to obtain the same outcome. (I asked the chaps at Dubreq whether there’s any plan to add a power input, but they said that there isn’t.) The batteries should last for a few hours but, if you leave it switched on after the soundcheck, there could be tears during the gig. 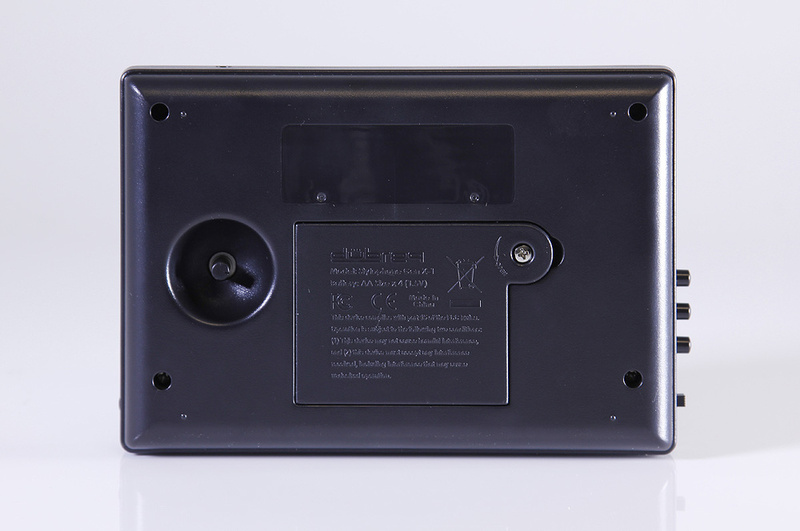 The bottom of the GEN X‑1 houses a recessed tuning knob and the battery compartment. The plastic case of the GEN X‑1 is slightly larger and heavier than the original and the S1, but it seems no more robust so it will be important to treat it with care; I doubt that it will survive a fall onto a concrete floor nor any other form of serious mistreatment. The additional size allows for the control panel to co‑exist with the speaker on the top panel, but has another important consequence — the ‘keyboard’ is four semitones wider than before, making it just a single semitone short of a two‑octave C‑to‑C device. As I was soon to discover, the extra few notes make a significant difference when playing. Mind you, it remains quite tricky to play the GEN X‑1 well, not because the interface requires great skill, but because getting a clean contact between the stylus and the metal keyboard is not always straightforward. Failing to do so causes the pitch to glitch and, unless you’re into such things, renders the performance unusable. But, once you’ve got the hang of sliding the stylus between notes, things improve rapidly. I found that adding four rubber feet to the underside of the case also helped with this, stabilising it and making it unnecessary to hold it with my left hand while playing. Lying behind the keyboard, there’s a strip of plastic that looks like nothing more than a graphic affectation, but this turns out to be one of the instrument’s most interesting features. Called the Soundstrip, this is nothing less than a ribbon controller that allows you to play the GEN X‑1 using your fingertip. It’s not quantised, so you can slide between notes and, with a suitable wiggle, create vibrato. Unfortunately, the strip is recessed within the case and you need to press it hard to hold notes and to stop the sound retriggering as you glide between pitches. It seems that the chaps as Dubreq were concerned that the prototype strip was not robust enough, especially if played using the stylus, so they made it tougher (which made it less sensitive) and recessed it to protect it. If I were allowed to ask the people at Dubreq for just one improvement, it would be to lift the strip up to the level of its surround and make it more sensitive again. (OK, maybe that’s two improvements.) In fact, I did ask, and they told me that they already planned to look into this at some point. If this were sorted out, the GEN X‑1 could become irresistible for some players. Initially, the review unit suffered from a couple of faults; the lowest pad on the keyboard (bottom C) wasn’t reliable and, more significantly, the outputs from the sub‑oscillators were inconsistent, leading to glitching as they cut in and out. Fortunately, both faults improved quite quickly; the pad became more reliable as time passed, and I tracked the sub‑oscillator problem down to the knobs in the Envelope section — after a few moments of sweeping these from side to side to improve their internal contacts, all was well. 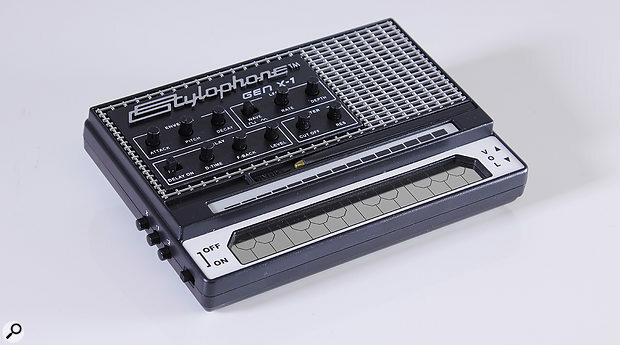 While it’s much more than a simple toy, the GEN X‑1 isn’t a substitute for a conventional synthesizer; rather, it’s a fun box that sits halfway between the original Stylophone and something more significant. As an oddity that you can pull out as a special feature on stage, or as a lo‑fi instrument or processor used to embellish recordings, it’s both fun and effective. If I was still playing psychedelic music, I would love to turn it on, tune it up, and drop it into the mix. In addition to the S1, S2 and GEN X-1, Dubreq offers a percussion/bass instrument called the Beatbox. This offers 13 pads in a circular arrangement and you use these to trigger drum samples and vocal ‘beatbox’ samples, or to play synth bass. 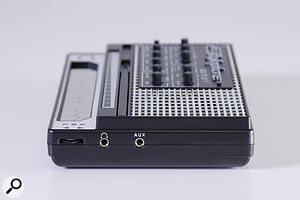 But it’s still based upon the Stylophone, so it’s monophonic and you can only trigger one sample at a time. It incorporates a recorder that allows you create drum & bass loops, although there’s no quantisation either upon recording or playback, so you’ll have to hone your skills to obtain anything useful. Like the GEN X-1, there’s a small built-in speaker and a 3.5mm audio output that allows you to direct the results to other musical equipment. It’s much more flexible than the original Stylophone. The ribbon controller is an unexpected bonus, although it’s not as usable as it should be. It’s a bit noisy — and with the delay used, it’s more than a bit noisy. There’s no way to use it with mains power. It remains lightweight and potentially fragile — handle with care. The GEN X-1 is more than a toy and, at the price, it could be fun to add one to your sonic arsenal. Whether you use it as an instrument or as a signal processor, just remember that it’s still a Stylophone and don’t expect too much of it.